I remember the first time we met Caroline. Nellu and I had just taken the overnight bus from Cape Town to Johannesburg, enduring hours of entertainment like the best music videos of Brandy and Celine Dion. (There are no earbuds on the planet that could block that out.) We had taken the train “where the robbers get robbed” to the airport, where we got a free pick up from the hotel we’d stay with for a night as a part of our G Adventures overland trek to Nairobi. We were tired and after finally connecting with the hotel manager/driver, we loaded into the back of a minivan. But we’d wait for one more passenger. This turned out to be Caroline. It’s always a little bit awkward meeting people that you know you will be spending the next month with. Will I like them? Will they like me? Will we be able to tolerate each other’s company for weeks? Caroline didn’t say much on that car ride to the hotel but over our 28-day trip, we got to know her well. She’s one of those people who is generally wonderful to be around. She interested and interesting and laughs a lot with this genuine, contagious laugh that draw you in. 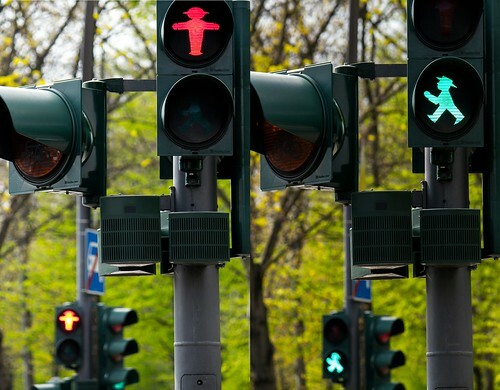 Nellu compiled this photo of the Berlin walk signs. I think the little man looks like he’s in a barbershop quartet. Berlin won me over but I’m sure a large part of that had to do with Caroline. We booked a place in her neighborhood and met up with her often during our brief stay. She took us to Tempelhof airfield, where we got stuck in the rain. We got stuck in the rain during our visit to Tempelhof field. 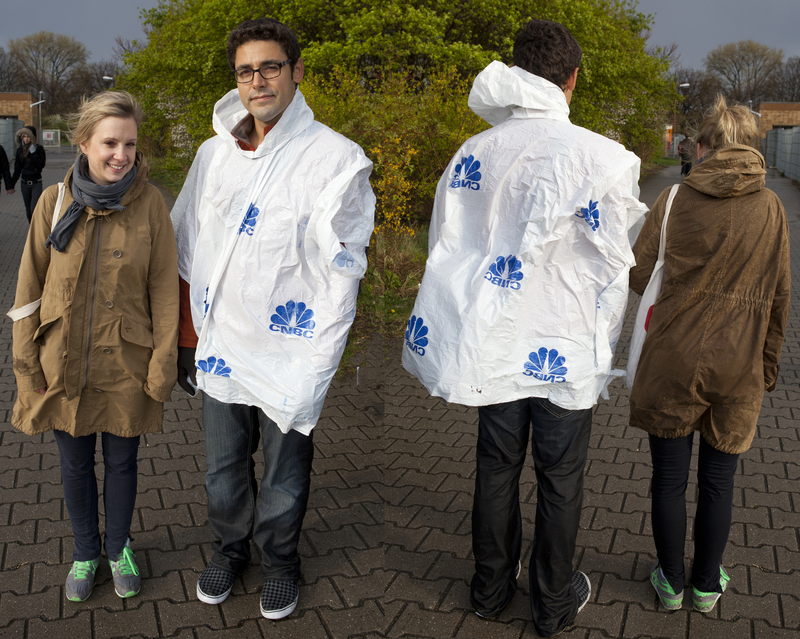 But as Caroline and Nellu demonstrate, only our backsides got wet. She gave us a driving tour of downtown Berlin, showing us where Angela Merkel lives, and took us to a flea market and brunch. Caroline also cooked dinner for us. It was so excitingly normal. We felt like we could have lived there. Maybe someday we will. Line (pronounced Leena) was also on our Africa trip. She was on a similar extended adventure, traveling with her friend Kristine over several months and continents. Line has a worldly sophistication unusual for someone in her early 20s. She lived in South Africa at some point and on the long truckbus rides across southeastern Africa, she attempted to school us in the art of the click constant present in Xhosa language. She also has easy-going nature that hides any fatigue she may have with English-speakers pronouncing her name as if they were referring to a long, narrow mark. 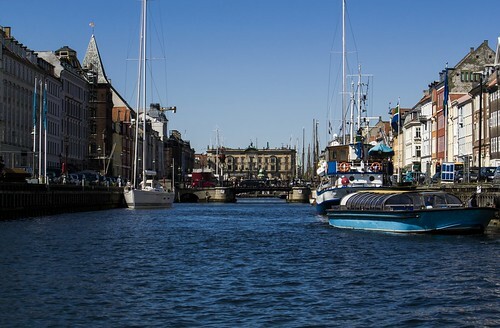 We had originally hoped all of us—Caroline, Line, Kristine, Nellu and I—would be able to get together in Copenhagen but we just couldn’t get the dates to work out. We were thankful to be able to connect with Line. “I forgot that you haven’t gone home yet,” she said meeting us. It was true. We were still wearing the same clothes she’d seen us in three months earlier in Africa. 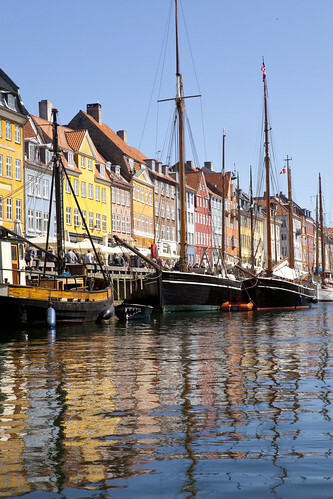 Line, of course, rocked that effortless style that Danes seem to acquire as a birthright. 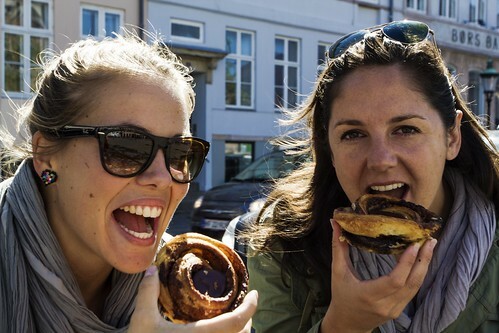 One item high up on our list of things to try in Denmark: danish. That’s right, Line took us out for Danish danish. And they were delicious. Line takes us for some delicious treats: authentic Danish danish. Photo by Nellu Mazilu. We headed over to the Amalienborg Palace to see the changing of the Royal Guard only to have Denmark’s Queen Margrethe II drive right past us. Line also humored us, accompanying us on a boat tour of the canals. Our visit coincided with the first truly warm days of spring where everyone makes a point to be outside as much as possible just to soak it all in. People hanging out by the canal. Photo by Nellu Mazilu. It was really just one of those stretches that makes you feel good to be alive. After traveling extensively over the last two years via trains, plans, buses, boats, camels, etc., I feel confident in declaring the loveliest way to travel is by ferry. Ferries are comfortable, luxurious even. Many of them have free wifi. Need I say more? 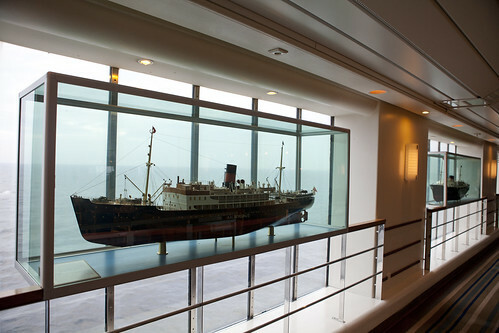 See ferries are so classy they have models of the boat on the boat. We took the overnight DFDS Seaways ferry from Copenhagen to Oslo (thanks to help from the fantastic seat61.com). We booked one of the smaller, cheaper cabins: a room with two single beds and a bathroom. It was amazing. We had privacy. We could work, explore, sleep and most importantly shut out the rest of the boat for one peaceful evening. We had gone to Oslo to meet up with our friend Morten, who we had met nine months earlier in Beijing. He and two friends had been preparing to drive back to Norway from China on two motorcycles with sidecars. They made it in about four months just before Christmas. Morten let Nellu try on the gear he’d bought to stay warm. This included a wolf skin that looked way too close to the husky dog I had growing up. 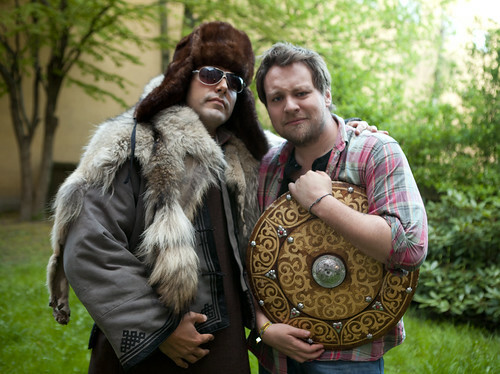 Nellu and Morten pose with some of the items Morten collected across Asia. “I can’t believe you guys are here,” Morten told Nellu when he called to schedule a time to meet up. Morten is also talented photographer and actually won trip to New York a few months back for one of his pictures. 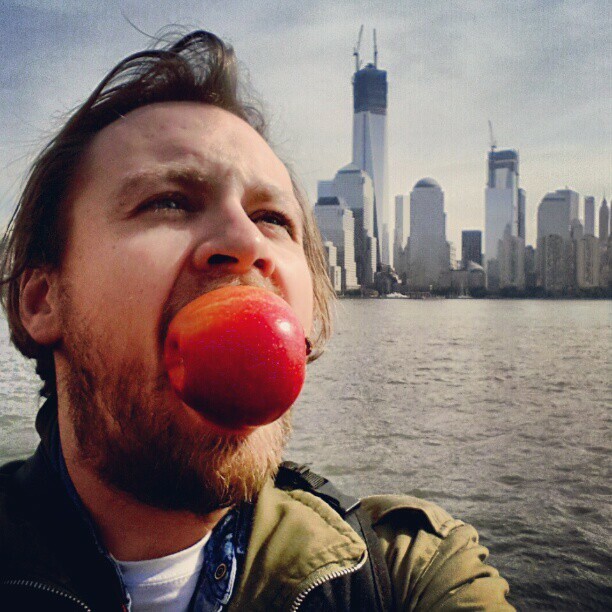 Morten and the Big Apple. 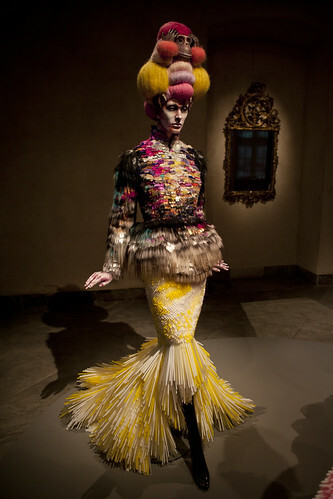 Photo Courtesy of Morten Espeland. 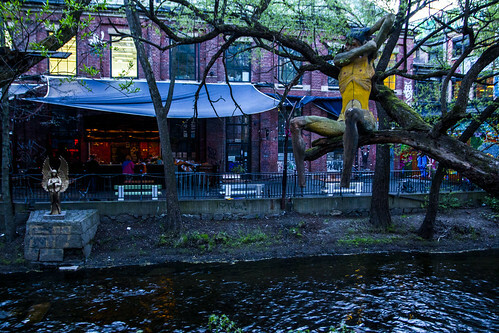 We met Morten in downtown Oslo and he took to a place he referred to as a “rockabilly” bar. “Rockabilly? What the hell is rockabilly?” we teased. We got beers as Morten pointed out all the Norwegian celebrities. 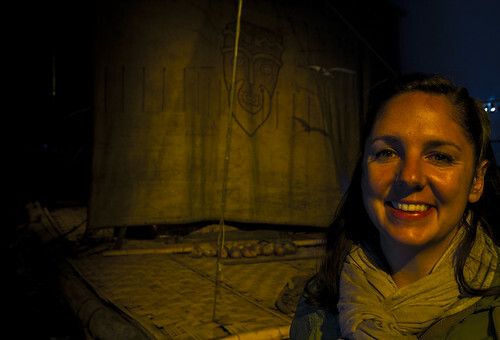 Me & Kon-Tiki. Photo by Nellu Mazilu. We also went to the Munch museum. 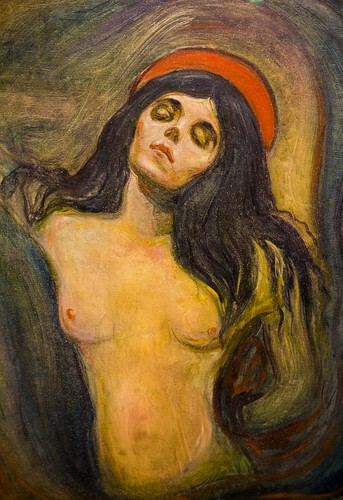 Edvard Munch’s Madonna. Photo by Nellu. 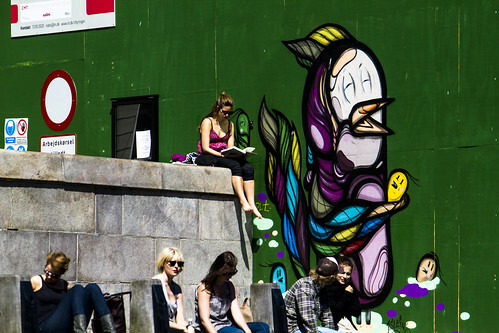 With Morten, we spent time seeing a more nuanced Oslo. He took us for a walk along the river all the way down to Parliament. We were having too much fun chatting over beers at a bar called the “Last Train,” that we missed the last train that night to our apartment. We ended up roaming through Oslo in the middle of the night, fighting as people do when they’re lost and stranded in a foreign city, all the way back to Morten’s. He didn’t look a bit inconvenienced when we knocked on his door. 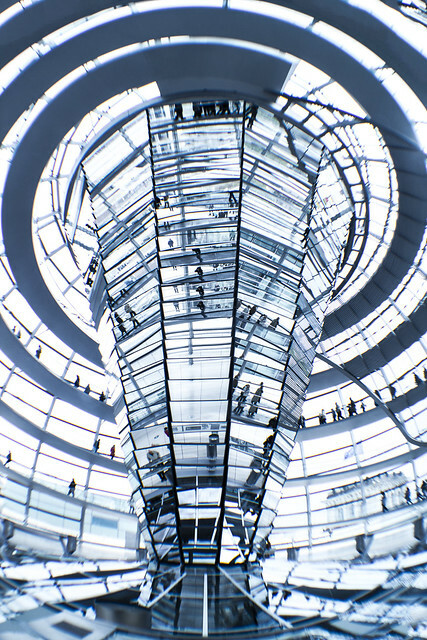 Inside the Reichstag’s new glass dome. Photo by Nellu. One of the consistent themes of our travel is a realization of how little I knew about the rest of the world—what went on just before I was born and even during my lifetime. Sure, I had a general awareness about events but when it came to the gripping details, it’s scary how clueless I am. And I read a lot when I was a kid. Berlin was one of the places that highlighted my relative ignorance. If you’re like me, your grade school and high school history classes skimmed over modern history in the final weeks of the academic year, when your sights were already set on how you were going to get a better tan this year thank your little brother. East Germany, West Germany, East German swimmers, “Mr. Gorbechev, tear down this wall,” buy your piece of the Berlin Wall. Sure, I got it. I knew Berlin was a central character in the Cold War. Yep. 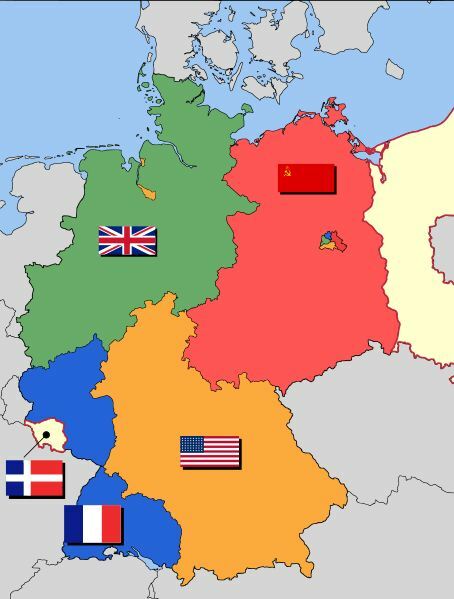 The little multi-colored spot in the middle of the USSR territory is Berlin, divided. Pic courtesy of Wikipedia. That tiny multicolored spot right in the middle of the USSR territory, aka East Germany, is Berlin, divided into all of its little pieces. I don’t know whether to blame our education system, our American-centric culture, or my rambling mind but a hugely critical part of this story never registered for me. I can’t remember ever thinking about where Berlin was or how West Berlin was cut off from the rest of West Germany and what that meant for the people living there.